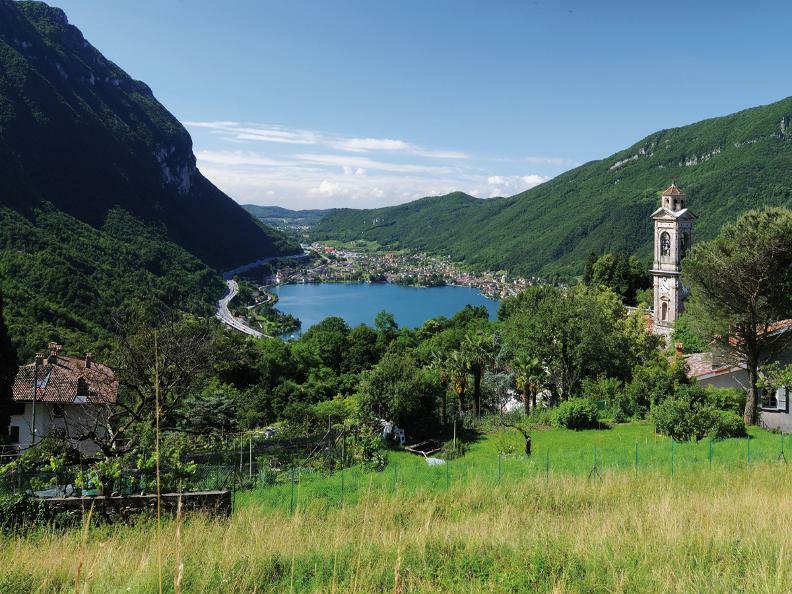 Rovio is favourably situated, enjoying mag-nificent views of Lake Lugano and a backdrop stretching to the peak of of Mount Generoso characterised by lush vegetation. Its location and its proximity to the transit routes through the Intelvese area have meant that the area has been occupied since ancient times, as evidenced by the archaeological finds from the Iron Age, discovered on the road to Arogno in 1846, as well as various Roman tombs, which were reused as baths at the fountains that can be seen in the streets of the town centre. During the Middle Ages, Rovio came under the jurisdiction of Castelseprio and there are mentions of private property “in illa de Rovi” as early as 852, a period which could date the construction of the first religious buildings. Added to the predominantly agricultural economy, associated with field crop cultivation, viticulture, livestock and charcoal production, Rovio was the point of origin for a number of skilled builders and artists. Entire families were active throughout Europe for generations, from London to Rome: among them the Bagutti, the Carlone, the Gallis, the Manni and the Mazzetti, who enriched their native village with remarkable works. Thanks to intelligent local policy, the residential development market, which began between 1960 and 1970, did not affect the precious balance of the old town where fine buildings look out over the squares and cobbled streets: the Piazza Fontana, the late-neoclassical Bagutti palace, built in 1864, with several rooms decorated with 19th-century paintings; the group of houses in Via Gene-roso; the frescoes of the Holy Shroud; a Madonna, accompanied by various saints, and St. Anthony of Padua; Vassalli House, with fresco of the Flight into Egypt from the first half of the 18th-century; Casa Groppi, in Riaasòtt, with bas-relief of the Madonna and Child by Domenico Bagutti (1784-1831); Casa Carlone in the Piazza dal Torc, whose living room was painted by Giovanni Carlone between 1695 and 1700.